With a trajectory only starting to expand beyond his native Poland, before succumbing to complications from cancer in 1979 at age 32, it's little surprise that Zbigniew Seifert has flown largely beneath the radar of even the most knowledgeable jazzer. 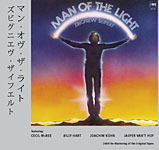 Still, it appears as though overdue attention is finally returning to this remarkable violinist, whose Man of the Light (Promising Music, 1977) remains an overlooked gem of incendiary post-John Coltrane modality, and impressionistic, European classicism. 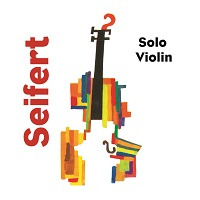 A documentary film is underway, and the international attention commencing with Seifert's Oregon collaboration, Violin (Vanguard, 1977), and his own exceptional Passion (Capitol, 1979) (featuring John Scofield, Richie Beirach, Eddie Gomez, Jack DeJohnette and Nana Vasconcelos), seems on the cusp of an overdue breakthrough. Three decades late, perhaps, but, in the final analysis, never too late. 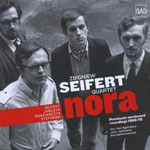 Nora joins other recent archival Polish releases like Kilimanjaro (Anex, 2007), but unlike that live double-disc setthe violinist's last documented appearance; a fusion-centric date with electric piano and guitarthis set collects Seifert's earliest live performances as leader of his first quartet where, despite violin being his first instrument, he plays nothing but alto saxophone (which he also played in trumpeter Tomasz Stanko's early free jazz ensembles) . The 55-minute set collects radio recordings from three shows, beginning with a March, 1969 show at Jazz nad Odrą, ending in October the following year at Warsaw's Jazz Jamboree. Often compared to Coltranesounding how the saxophone giant might have sounded, had he picked up a bow rather than a reedNora provides inescapable evidence that Seifert, on saxophone, was deeply affected by Coltrane, but also Ornette Coleman, and Charles Lloyd. A dark-hued, rubato take of Miles Davis' "Blue in Green" positions the quartet early on, with pianist Jan Jarczyk finding a nexus between Bill Evans' lyricism and McCoy Tyner's greater power, albeit without the denser block chords. Jarczyk co-composed "Meandry" with Seifert; a free-wheeling piece redolent of Coltrane's more liberated final days, but demonstrating considerably more restraint, even as Seifert's solo escalates in intensity, with Jarczyk, bassist Jan Gonciarczyk and drummer Jaņusz Stefanski heading into the ozone. There may be seven years and a completely different instrument between this performance and Man of the Light, but the lineage is inescapable. Elsewhere, Seifert's knotty title track leads to some of the set's most energetic and jagged interplay, swinging with reckless abandon and punctuated by Jarczyk's aggressive, Cecil Taylor-esque stance, while his Latin-esque "Reminiscenje" may be Nora's most centrist track, but remains imbued with passion and fire. These relatively thin-sounding mono recordings are only adequate, but the performances more than compensate for any sonic shortcomings. Nora presents an alternate view of Zbigniew Seifert to a world familiar (if at all) with his more distinctive violin prowess. More than just an archival find, it bolsters increased interest in an artist whose musical life may have been over almost before it began, but who shone all the more brightly because of it. Track Listing: East of the Sun; Blue in Green; Nora; Reminiscenje; Złudenie; Taniec garbusa; Ten niezastąpiony; Meandry. 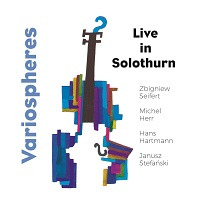 Personnel: Zbigniew Seifert: alto saxophone; Jan Jarczyk: piano; Jan Gonciarczyk: bass; Jaņusz Stefanski: drums.